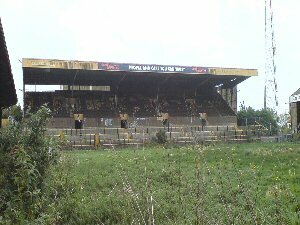 I really wish I had given a damn about going to more away games sooner because it would have meant I could go to Boothferry Park a bit more. Now, I know that first sentence would have confused some people due to it not being the best of grounds, but I liked it despite giving it a relatively low score. I found it very nostalgic. 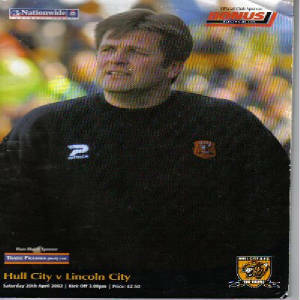 Unfortunatly though, they were due to move to the KC Stadium the next season, so this turned out to be the only visit to this famous ground that I'll ever make. Now, I'm not going to lie, a lot of Hull fans have a deserved reputation for violence and this trip into the City was no different as loads of little chavs and general other scum kept throwing stuff at the coaches, although pleasently, outside the ground where the fans could easily reach each other, no violence was present which was a very nice suprise. Getting to the ground, you see the away end that famously has a Spar shop built into the back of it. Slightly to the left of those are two sets of stairs, one leading to a gate for home fans and one leading to the gate for away fans. I remember thinking that this could be potentially very dangerous. Anyway, getting into the ground, it's was like a throwback really. The ground reminded me a bit of Stamford Bridge before redevelopment. 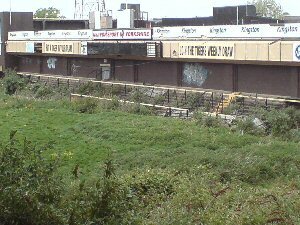 The away end is a fairly large terracing although the view of the action is quite poor and it's hard to create atmosphere due to their being no roof. The stand to the left of us was the main Hull stand, the infamous, Kempton Stand. A stand that can apparantly scare the pants off the Terminator with it's atmosphere. This stand was alright but no particully thrilling. 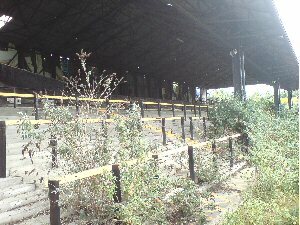 The stand next to this was a massive stand and resemble's Walsall's end. It is a very large terrace area with a large section of seating above it. Again, not great but could have been worse. The final stand was a dodgy seated area. 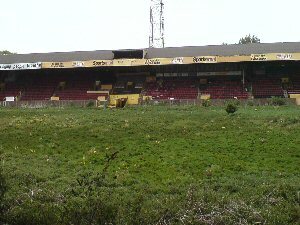 Overall the ground was quite good but was definitely starting to show it's age and it's a good thing Hull moved, although I would have loved to have gone there for more matches. The pictures you can see on the right were taken in May 2007, 5 years and about 2 weeks after my visit. As you can tell the ground has just been left to rot effectively. With vast plant-growths in the corner and grass that is approaching knee height, it's amazing they hadn't knocked it down by this point, 4 and a half years after it was last used.